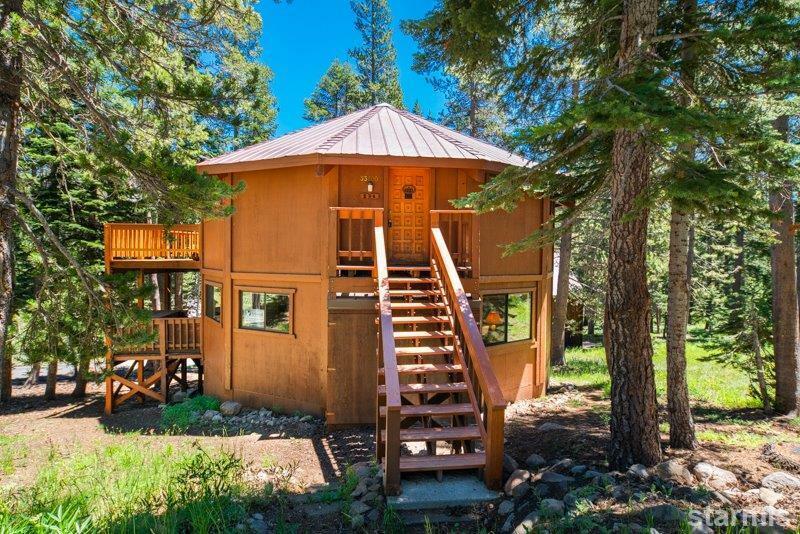 Built in 1987, this twelve-sided home (called a dodecahedron) is fun, functional and a memory maker! 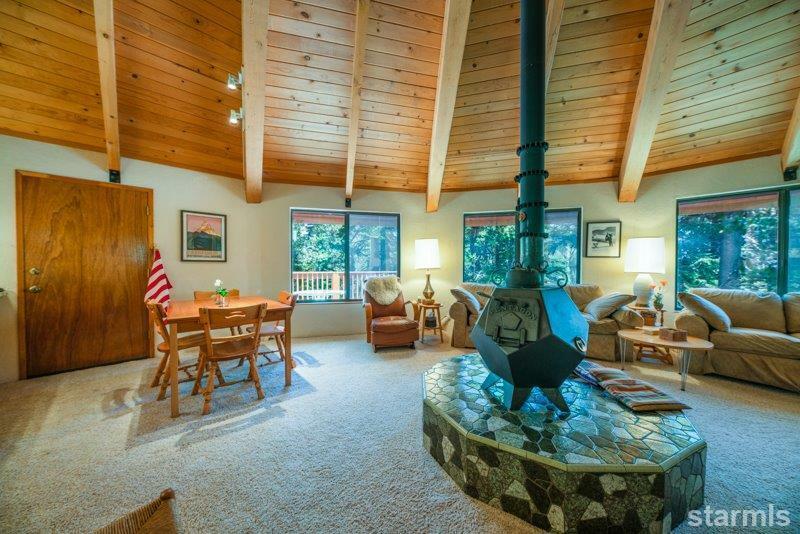 For decades to come, you and your guests will marvel at the architecture and construction for above a pentagon shaped wood stove, a radius of open beams converge. 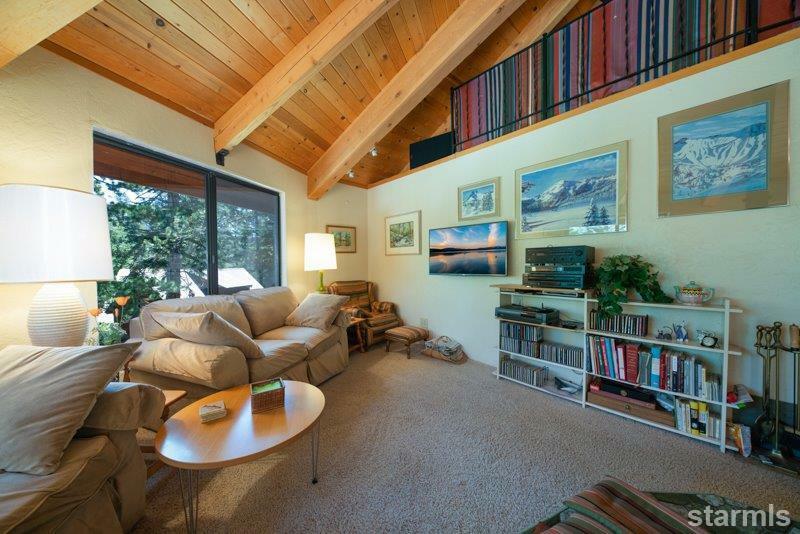 The living room with its vaulted ceilings, the cozy loft which is open to below, and the spacious kitchen all flow together to unite family and friends. Downstairs, between two additional bedrooms, there a large family room with two bunk beds - it is the perfect play place for kids and teenagers alike. The charming home has a short, easy access from the road. 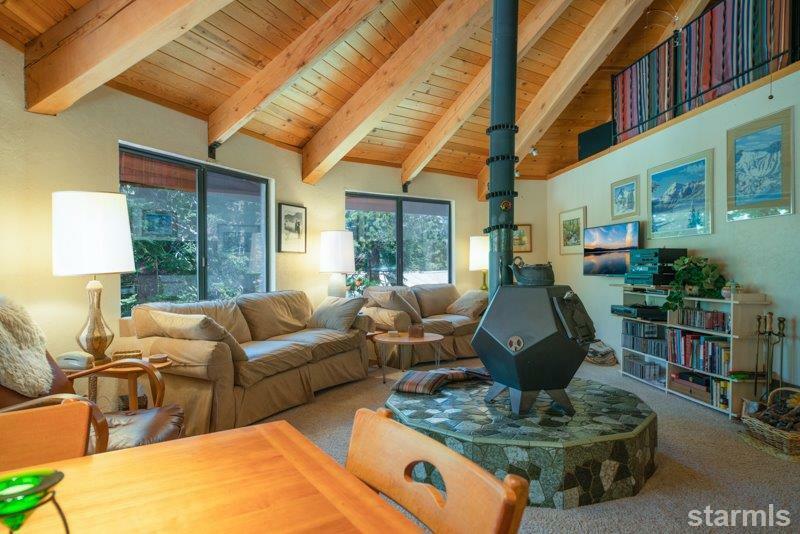 And with hiking and skiing trails just a few homes away, this home is well situated to enjoy all Kirkwood has to offer. Sold fully furnished (currently can sleep up to 14 people). And there are laundry hook-ups for a new owner's washer and dryer.